Yes -- I'm in NYC. Yes, our transit union is on strike. Yes -- I haven't yet met a single person in New York who doesn't think that this Union is made up of the MOST SELFISH individuals ever!!! Walking 85 blocks in 19F (approx -5C) weather just to get to the office isn't anyone's idea of fun. Although good excercise, walking in the cold you must bundle up with twice the amount of clothing simply not to freeze. May the fines be heafty, the jails be filled and the strike be over as soon as possible so that our city doens't loose any MORE money... the retailers are having a hard enough time without this crap! Keep your fingers crossed that it ends soon! Flight Cancelled! Date Cancelled too! The grand Business class deal my boss found (which is actually wonderful, I'm just living on 4hrs of sleep and little food yet) on the new airline MAXjet...well it has a broken part and...oooop...they only have ONE PLANE in the fleet!!! And...being the UK...I had to put my knitting in the suitcase as it's not allowed in your carry on. Only the UK! After many hours we just got confirmation that we've gotten a flight on EOS...which was supposed to leave at 6:30pm (a 9:30pm arrival) but they've been working to make it leave a few hours sooner...except now they think they cannot because of 2 people who are Kosher and thus we'll have to wait for special food to arrive... meanwhile these two folks are complaining THE MOST about being held up in the UK...don't they have a little wiggle room? So...looks like I'll be missing my date... I called my date and he couldn't help but laugh! Unreal my luck. Yes...travel is SO MUCH FUN! ...Don't worry... I have the entire library doubly backed up on external drives... But having only an hour left before my departure...I could only drag and drop some albums. The flight was lovely. We tested out MaxJet...which just began flying in the US November 1st. We flew into Stansted and are about to take the train into London. If the train is as easy as appears, this will become my new favorite way to London! MaxJet is all Business Class seating (since our budgetary restrictions only allow coach these days...even to China!!) and they offered up a competitive flight to our usual flight via Dublin (layover)... T'was a treat to be able to lay nearly flat and sleep! Waking up to prepare for landing, the sun was rising just above the cloud line where we were floating... Just beautiful...wish I'd had my camera handy. After a few lovely minutes watching the sun rise stretch across the sky with reds and oranges, we crossed through the cloud line into the murky darkness of Stansted. I awoke STARVING to see it was 8pm! (Good sleep!) I was slightly panicked as my boss had said he'd call to wake me at 5pm because he wanted to get a jump on the set up for the following days presentation. Upon calling him back I found that his brain had been as mushy as mine. So...for a change, I didn't have to solve the problem...he didn't wake me and voila - they are in his room. After a lovely Morrocan dinnerwith Reiko (show right) and Bernard, we had a few drinks with our salesman (who are the lot in the photos all thru this entry) and a few hours of sleep. Up at 6am (1am NYC time) for breakfast and to set up the meeting...then I talked for a few hours, presented the new collection -- which was quite well recieved (yeah!) and we had drinks at Sandra's new flat! Thanks Sandra!!! I'm off to London for a few days of meetings! The Yarn Company Boycot BACK ON! If you aren't available to sell goods because you are teaching a class, post it on the door and you won't be bothered! Then...Last night, after a few weeks had passed, sweater parts all done, she stopped in to ask for assistance with the neck. The owner was there and told her that THIS kind of help was only available at classes. 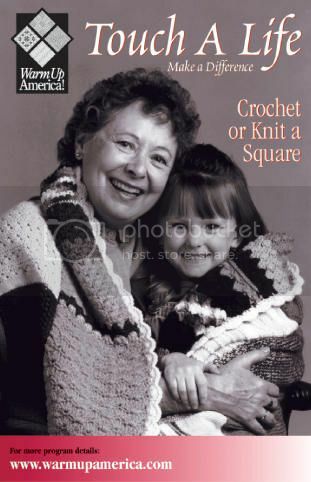 Snapped at her in a "duh" tone that "she needed to sew up the sweater FIRST and then the neck could be done." These directions hadn't been written on the pattern that was bought from this store... how was she to know? She asked if there were any weekend classes... she was snapped at "NO! Wednesday nights." She asked to sign-up (and pay) for this Wednesday's class... and was told they are booked for a while. My friend told her that this was a Christmas present and with the time left before Christmas she knows she could finish it with a little explanation help. So...she can take 15 minutes to tell you how she can't help you & try to sell you her book... while in those 15 minutes she could have been well on her way to answering the question at hand. With all of the friendly and helpful knitting shops and knitters in NYC... I certainly won't be giving them another chance. How rude! I'd be interested in hearing other peoples take on this place. I do know that the owners are snippy while they seem to hire kind staff... I just can't justify putting money into snippy peoples pockets. So...Tonight I'll show her how to stitch it up and put on the neck ribbing. After properly swatching... I cast on a new project last night...a wonderful cardi! I'll post a photo soon!!! The photoshoot went well (Mon-Wed) and now I'm racing thru the photo selection yeowza! What a busy but great week! Work kept me most busy...but I hit a number of milestones and plowed right through them! Wooo-whooo! Went to see Gabriel Byrne (Cornelious Melody) in A Touch of the Poet (written by Eugene O'Neill) with my friend and coworker Ramona. It was heavy...much heavie than I'd expected it to be. Mr. Byrne did an alright job...until he had to change accents from his gentleman's English to a rough Irish brogue. It really stuck out until he'd been using it for a few minutes...didn't help that a number of the characters had been speaking in a very GOOD brogue for the entire show. I really did enjoy the performance by Emily Bergl (Sarah Melody) as the strong willed daughter. This wouldn't be the first show I'd send you to in NYC by far. This week also included 1 very fun date, 1 night out with friends playing backgammon (and testing out my hand knit backgammon board), dinner out with friends and many a snuggle with my ever growing long-tailed boys at home. On a sad kitty note, a dear friends' cat lost her struggle with cancer this week...always hard to loose a pet. 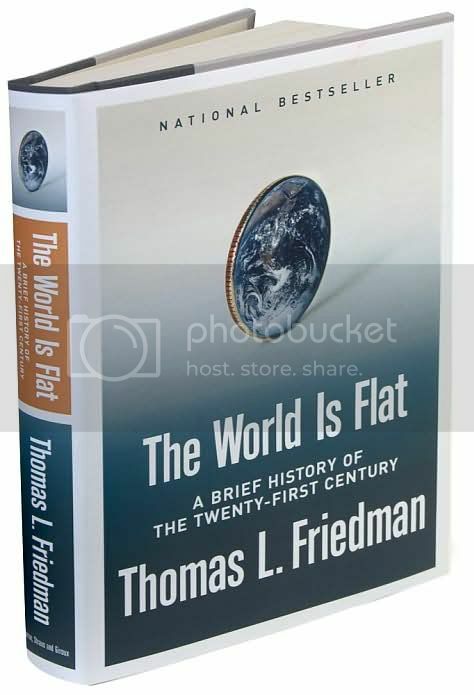 I've been reading The World is Flat: A Brief History of the Twenty-First Century... great book --- anyone interested in continueing to roll ahead in your career -- NO MATTER what it is that you do... you should be reading this book! I have to pick up Freakanomics...it came highly reccomended to me this week. Reading has taken over some of the knitting I would usually have been doing...well... more likely work has taken over more of the free time for the other things! Tonight's girls night out!! Dinner and fun! Photoshoot fun (WORK!) hits full swing on Monday! Here we go again! I had best get back to my paperwork/planning on this weeks shoot! Cheers all - Happy Weekend!